What Is Hydrocephalus, and What Causes It? Cerebral spinal fluid is produced in the brain’s ventricles. There are 4 ventricles, the 3rd and 4th ventricles and the 2 lateral ventricles, which are all like chambers within the brain. The walls of each ventricle contain a choroid plexus, which is a structure that produces CSF. Cerebral spinal fluid flows from the ventricles, through the brain and spinal cord, and is eventually absorbed into the deoxygenated blood in the brain. When this flow becomes blocked, hydrocephalus occurs. Hydrocephalus is classified as “communicating hydrocephalus,” which means there is something obstructing the flow of CSF outside of the ventricular system, and “obstructive hydrocephalus,” which occurs when there is an obstruction of CSF flow within the ventricular system. When an obstruction or blockage causes CSF to build up, pressure inside the baby’s brain (intracranial pressure) increases and the ventricles get bigger. If the CSF does not get drained, the baby’s brain may become permanently damaged in the form of white and gray matter damage, scarring in the brain (gliotic scarring) and death of brain tissue. White matter is more commonly damaged than gray matter. These brain injuries can cause a child to have lifelong problems, such as cerebral palsy, seizures and developmental delays. Intraventricular hemorrhages are a common cause of hydrocephalus. Babies born preterm are more susceptible to IVH because blood vessels and other parts of their brains are fragile. In order to prevent the baby from having permanent brain damage, the medical team must promptly diagnose the hydrocephalus and give the baby appropriate treatment. Drainage of the CSF is critical. Indeed, the most effective treatment of hydrocephalus is surgical drainage, which can be accomplished by using a shunt or third ventriculostomy. Shunt systems consist of tubing, catheters, a reservoir and a pressure activated valve. The system is placed in the skull through a hole that a surgeon creates. A catheter is inserted into one of the lateral ventricles. This catheter is connected to a one-way valve system that opens when the pressure in the ventricles exceeds a certain value. As the fluid drains, the pressure in the ventricles decreases, which causes closure of the valve until the pressure increases again. The outer end of the shunt system is connected to a catheter that is placed in the baby’s abdominal cavity. The excess CSF that has been transported to the abdominal cavity is absorbed into the baby’s circulatory system. A third ventriculostomy is a procedure in which a surgeon makes a perforation in the baby’s brain to connect the third ventricle to the subarachnoid space (a space where CSF passes through). This is sometimes used as an initial treatment of certain cases of obstructive hydrocephalus, and it cannot be used when the baby has communicating hydrocephalus. Older age (older than one year) is by far the biggest predictor of success with this procedure. Treatment of hydrocephalus must occur right away because hydrocephalus can cause damaged blood vessels in the brain, destruction of brain tissue (primarily white matter), and significant impairment of the baby’s cerebral cortex, which is largely responsible for thought, consciousness, memory, attention, perceptual awareness and language. Delayed diagnosis and treatment of hydrocephalus can cause conditions such as seizure disorders, cerebral palsy and intellectual disabilities. When birth injuries cause hydrocephalus, fluid build-up is often seen within days of the baby’s delivery. The baby may have puffiness or swelling at the temples, the bridge of the nose, or around the eyes. A very clear sign of hydrocephalus is an enlarged head, which is a sign of increased intracranial pressure. This rapid growth occurs in an attempt to decrease pressure in the brain. If left completely untreated, hydrocephalus can cause the brain stem to become so compressed that the baby’s heart or breathing stops. Compression of the cerebellum can cause problems with swallowing, speaking and breathing. Some of the first symptoms of hydrocephalus include vomiting, sleepiness, irritability, an inability to look upward and seizures. The medical team should suspect hydrocephalus in babies who have a head size that is larger than normal at birth or whose head measurements after birth indicate excessive head growth. Babies who had a traumatic birth or who were born prematurely should have frequent head measurements. In addition, babies who have an increased intracranial pressure should be suspected of having hydrocephalus. Diagnosis of hydrocephalus is confirmed by taking images of the baby’s brain, usually by using ultrasonography. However, CT scans and MRIs are more accurate, especially in older babies. Once the anterior fontanelle (part of the baby’s “soft spot”) closes in a baby, an ultrasound cannot be used. Brain imaging can help distinguish the different types of hydrocephalus. This is very important because it will influence treatment decisions. An MRI provides the best visualization of the disturbed processes of the CSF pathway and of CSF flow dynamics. Sometimes hydrocephalus occurs while the baby is in the womb. This can be detected by intrauterine ultrasonography at or after 24 weeks of gestation. After 32-34 weeks of gestation, the fetus’s head size begins to increase as the ventricular dilation increases. If the cause of the hydrocephalus is birth trauma or birth asphyxia, meaning the insult that caused the hydrocephalus occurred at birth, the hydrocephalus usually begins within one to three weeks after the insult (such as IVH). Babies at risk of having IVH should have routine ultrasounds performed before day 5 of life since most cases of IVH occur within the first 5 days after birth. If the baby has symptoms of IVH, confirmation should be made by using head imaging (although treatment of IVH usually should begin prior to confirmation). Once IVH is diagnosed, routine head imaging should continue in order to identify potential hydrocephalus and its progression. Of course, if the baby has signs or symptoms of hydrocephalus, head imaging must be immediately performed. Cerebral angiography (a procedure that takes images of brain vessels and blood flow), CSF analysis, an EEG and an external pressure transducer that measures the baby’s intracranial pressure are all tools that can help the medical team diagnose hydrocephalus. Failure to properly diagnose and treat hydrocephalus is negligence. It also is negligent if the medical team fails to properly manage the shunt system and the system fails or causes the baby to have an infection. If medical negligence causes permanent brain damage in a baby, it is medical malpractice. If you are seeking the help of a lawyer, it is very important to choose a lawyer and firm that focus solely on birth injury cases. Reiter & Walsh ABC Law Centers is a national birth injury law firm that has been helping children with birth injuries for almost 3 decades. Birth Injury lawyer Jesse Reiter, president of ABC Law Centers, has been focusing solely on birth injury cases for over 28 years, and most of his cases involve hypoxic ischemic encephalopathy (HIE) and cerebral palsy. Partners Jesse Reiter and Rebecca Walsh are currently recognized as being two of the best medical malpractice lawyers in America by U.S. News and World Report 2015, which also recognized ABC Law Centers as being one of the best medical malpractice law firms in the nation. 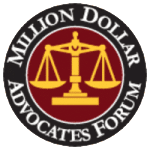 The Michigan hydrocephalus lawyers at ABC Law Centers have won numerous awards for their advocacy of children and are members of the Birth Trauma Litigation Group (BTLG) and the Michigan Association for Justice (MAJ). If your child was diagnosed with a birth injury, such as cerebral palsy, a seizure disorder or hypoxic ischemic encephalopathy (HIE), the Michigan hydrocephalus lawyers at ABC Law Centers can help. We have helped children throughout the country obtain compensation for lifelong treatment, therapy and a secure future, and we give personal attention to each child and family we represent. Our nationally recognized birth injury firm has numerous multi-million dollar verdicts and settlements that attest to our success and no fees are ever paid to our firm until we win your case. Email or call Reiter & Walsh ABC Law Centers at 888-419-2229 for a free case evaluation. Our firm’s award-winning Michigan hydrocephalus lawyers are available 24 / 7 to speak with you. Watch a video of birth injury attorney Jesse Reiter discussing how negligence during or near the time of delivery can cause birth injuries such as hydrocephalus, which often result in cerebral palsy.